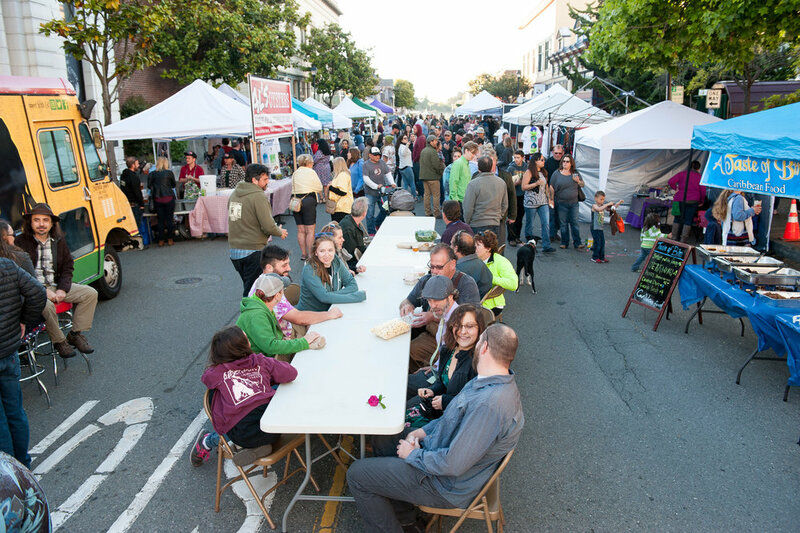 Old Town Eureka as a place for neighbors to gather. With this in mind, community dining tables are set up to encourage people to stay a while. Every Friday from June to September, we aim to create a cozy, inviting atmosphere where our visitors can really get to know one another and our vendors. For more information about vending and music opportunities contact Eureka Visitor Center.